In last Sunday's readings, we learned about our calling as prophets, to speak God's truth to those around us. This Sunday's readings continue that theme as Jesus sends his twelve apostles on a mission to preach repentance and to cure the sick. In our first reading (Amos 7:12-15), we hear the prophet Amos being rejected by the priest Amaziah. Amos responded that he was an ordinary shepherd called from following the flock by God. Amaziah, priest of Bethel, said to Amos, "Off with you, visionary, flee to the land of Judah! There earn your bread by prophesying, but never again prophesy in Bethel; for it is the king's sanctuary and a royal temple." Amos answered Amaziah, "I was no prophet, nor have I belonged to a company of prophets; I was a shepherd and a dresser of sycamores. The LORD took me from following the flock, and said to me, Go, prophesy to my people Israel." In our Gospel reading (Mark 6:7-13), Jesus sends his twelve apostles on a mission of preaching and healing. They were to take nothing with them, relying totally on God and the community for their sustenance. Not everyone would accept their message. 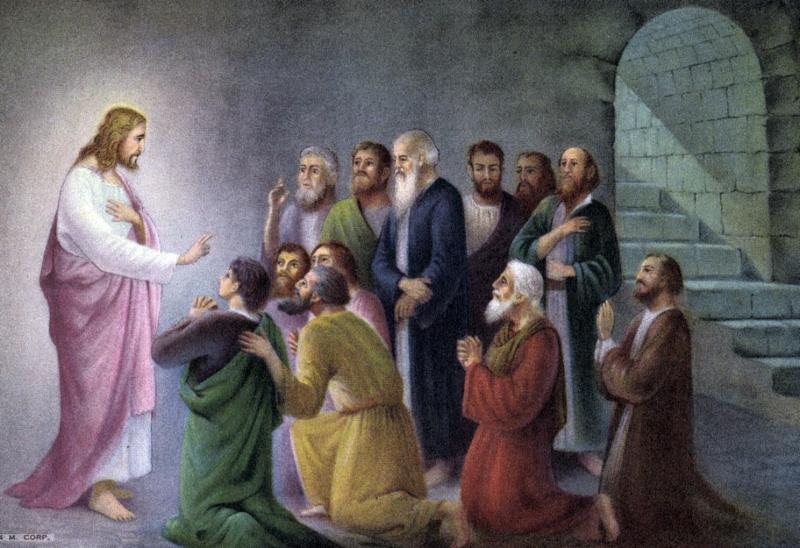 Jesus summoned the Twelve and began to send them out two by two and gave them authority over unclean spirits. He instructed them to take nothing for the journey but a walking stick- no food, no sack, no money in their belts. They were, however, to wear sandals but not a second tunic. He said to them, "Wherever you enter a house, stay there until you leave. Whatever place does not welcome you or listen to you, leave there and shake the dust off your feet in testimony against them." So they went off and preached repentance. The Twelve drove out many demons, and they anointed with oil many who were sick and cured them. In our Epistle reading (Ephesians 1:3-14), we hear from the opening of Paul's letter to the Ephesian community. It is both a blessing and a teaching. In this passage, Paul teaches us that we are chosen by God and redeemed by the blood of Christ. In Christ, we are destined with the purpose of the will of God. We are called to glorify God with our lives. As St. Paul tells us, we have been chosen before the foundation of the world. Chosen for what? To praise and glorify God with our lives, to preach God's truth by living and loving as God would have us do. And like the prophet Amos and the apostles, be prepared for what rejection will come our way. It is our destiny.